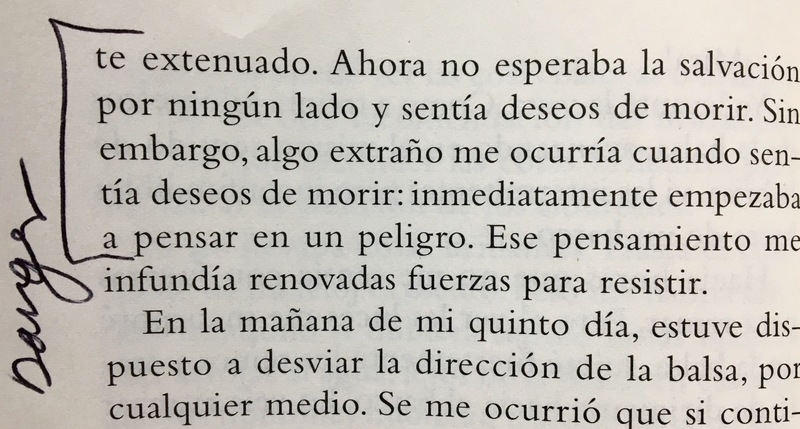 So I read Gabriel Garcia Marquez’s “Relato de un Náufrago” (“The Story of a Shipwrecked Sailor”) in one sitting. I had my doubts when buying it beacuse I tend to find that all shipwreck stories are the same. Sun, thirst, hunger, dead fish. 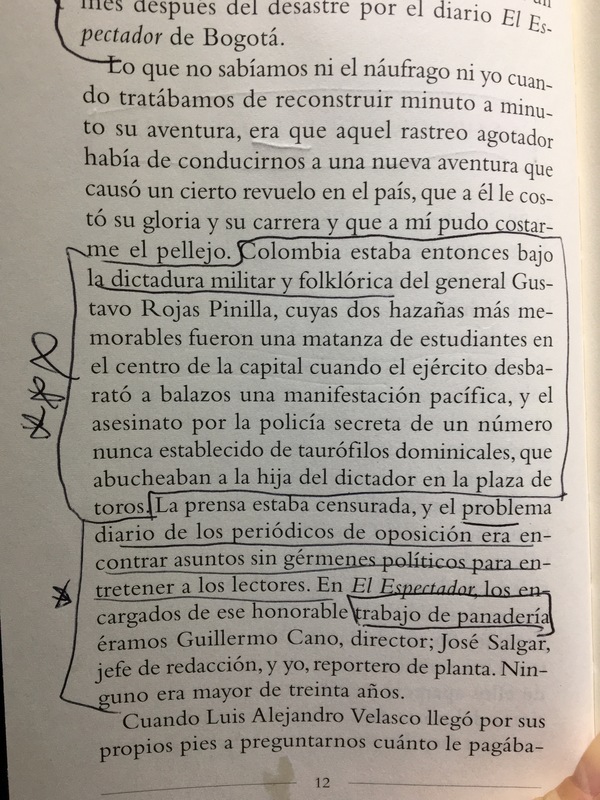 Indeed, my favorite part of the tale was Marquez’s introduction, which included the stupendous description above of the Colombian historical context at the time the story was published (apologies to non-Spanish readers). And, while no one can say that Marquez’s shipwreck tale is bad, it’s a story of sun, thirst, hunger, dead fish. It does interweave an interesting message, however, of the difference between the fear of dying and the fear of death. Death, actually being dead, does not scare the narrator. Death is a form of salvation, the end of water hell. But the act of dying is immediate, terrifying hell. The options are not good: sharks, imagined carnivorous turtles, burnt lungs. Fear of going through such terrible experiences keeps the narrator from letting himself die, no matter how much he claims to want the out of death. As a result, he stays alive. With this story Marquez confirms that our extreme cowardice when faced with gore, pain, any form of death by dying is so effective that it finally makes us brave.